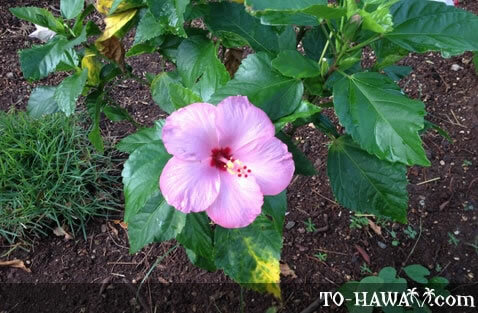 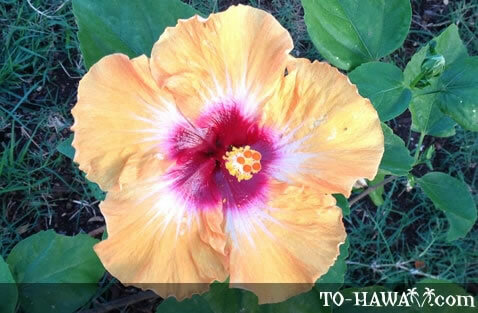 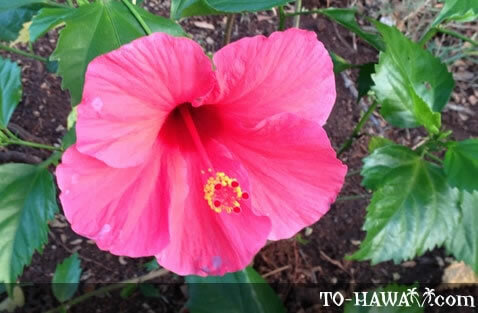 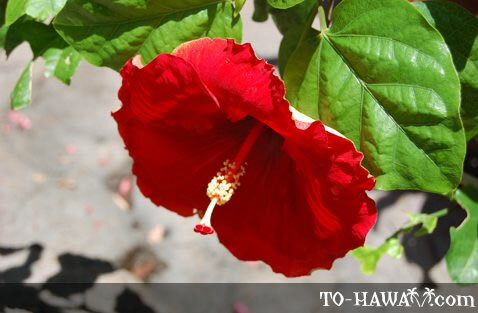 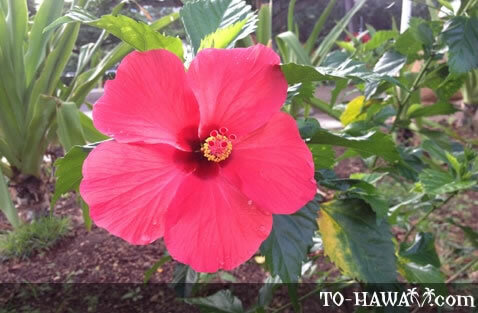 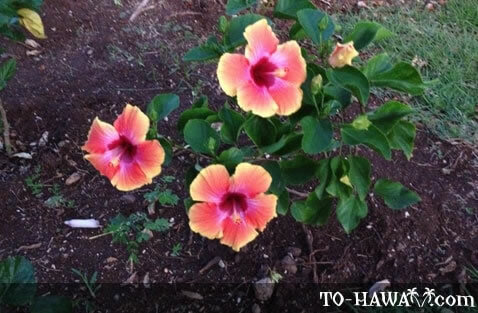 In 1923, the Territory of Hawaii passed a law that made Hibiscus Hawaii's official state flower. 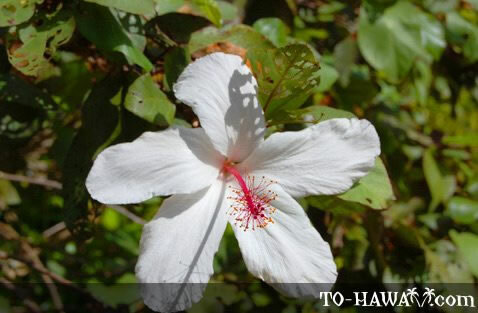 This native hibiscus species is known as ma'o hau hele in the Hawaiian language. 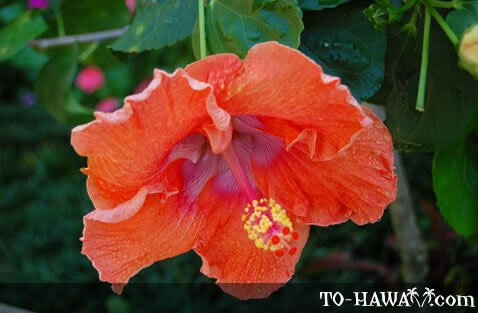 Its scientific name is Hibiscus brackenridgei. 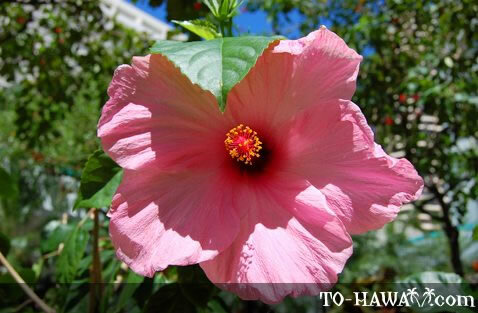 There are 5 endemic Hibiscus species in Hawaii and over 30 introduced ones. 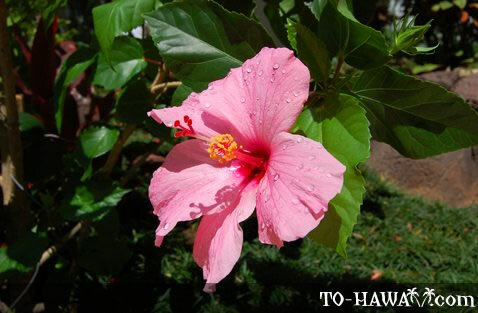 The ones that have been introduced have been crossed with Hawaiian species, producing a large variety of this species. 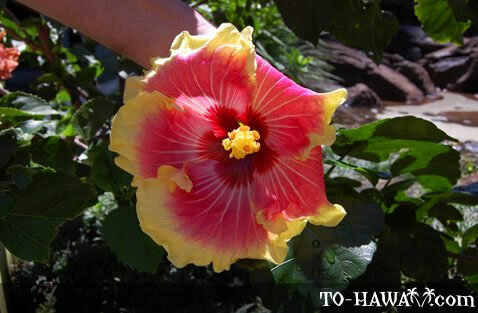 Hibiscus is native to southern China. 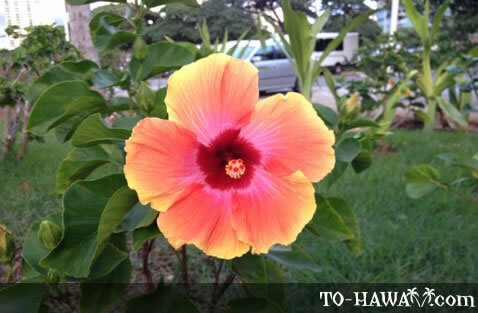 In China, the flower is named Fu Sang. 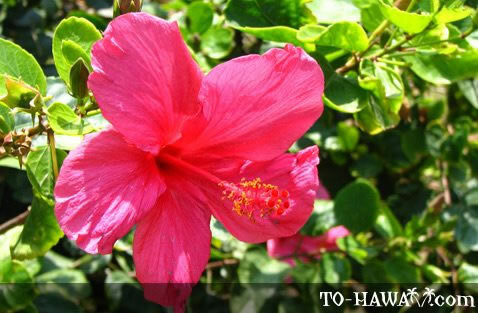 In India, it is called Sapattnu-mal. 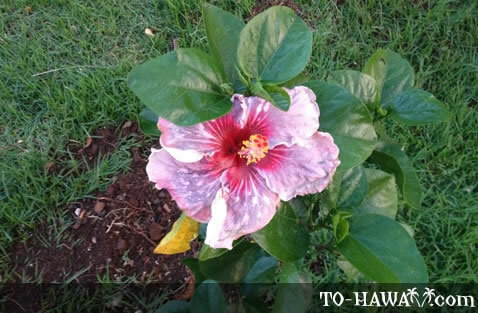 The juices from the flower are used as food coloring. 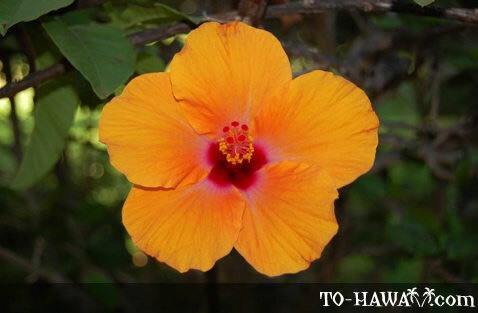 The flower can grow three to 20 feet (6 m) in height. 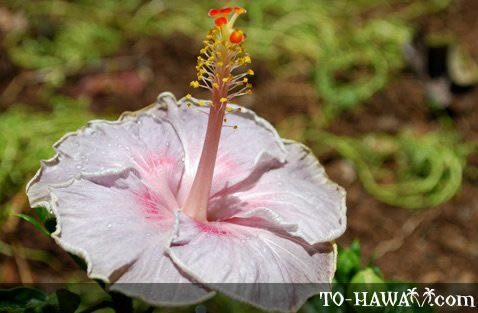 The petals grow 2-8 inches (5-20 cm) across.